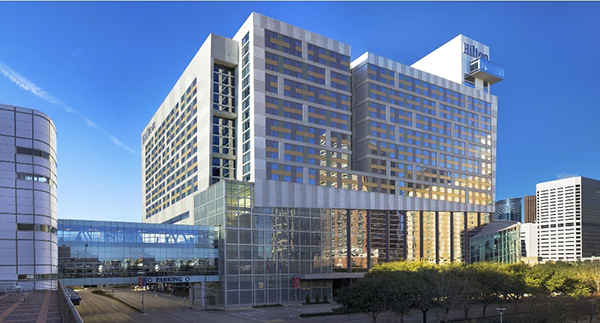 Conveniently located in the heart of downtown Houston, Hilton Americas-Houston is connected to the George R. Brown Convention Center via two indoor skywalks. Our AAA Four-diamond hotel is just steps away from a range of attractions such as Discovery Green Park, Toyota Center, BBVA Compass Stadium and Minute Maid Park. If you are approached by a company called Convention Housing Services or Exhibition Housing Services, or EHRS for bedroom bookings – these companies are NOT recommended by CRU - we strongly advise that you do NOT book any rooms with them. They cannot guarantee your booking and may charge you with additional fees that make them more expensive than they pretend to be.